Most people associate white teeth with youth and health. We can all get closer to that ideal with teeth whitening! We offer both bleaching trays and whitening strips. Bleaching trays are made to custom fit your mouth and teeth. We take an impression of your teeth and make a tray from the model that we can customize not only to fit snuggly over your teeth, ensuring close contact between the bleaching gel and the tooth surface. Further, we can , cut the tray back so that it doesn’t impinge on your gums. This is important as the bleaching gel can cause sensitivity to the gums with extended contact. The tray itself can also cause sensitivity simply due to physical contact. Once the tray is made, you can reuse it whenever you want to whiten your teeth. The whitening gel can be reordered. 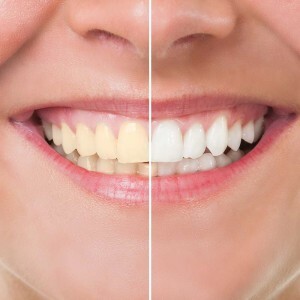 The peroxide in the gel whitens not just the surface of your teeth, but slightly under the surface as well, which is why the whitening lasts longer, but also why some patients can have sensitivity for a few days after whitening. Our gel also contains fluoride, which can help with tooth sensitivity during whitening. 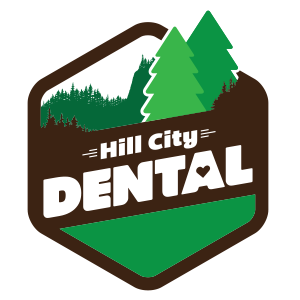 We also have whitening strips, which contain Carbamide Peroxide, a whitening agent that has a slower release time than hydrogen peroxide, helping decrease sensitivity. These whitening strips are easy to use and stay in place better than over-the-counter strips, allowing you to wear them during the day. Also, they don’t scoot up over the gums, possibly causing sensitivity, and the gel stays on the teeth where in belongs! Discoloration due to a tooth having had or needing a root canal, or due to childhood use of certain antibiotics cannot be remedies using whitening trays or strips but other methods may be available. Ask us about this and we will discuss the options. Ask about our bleaching trays and bleaching strips today!